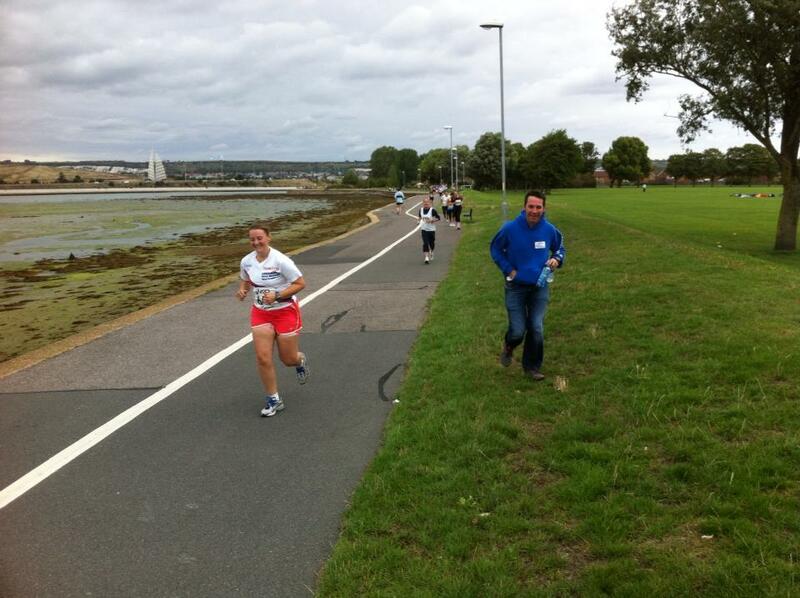 I’ve been feeling a bit tired recently, so I decided not to do parkrun before Overton this year. 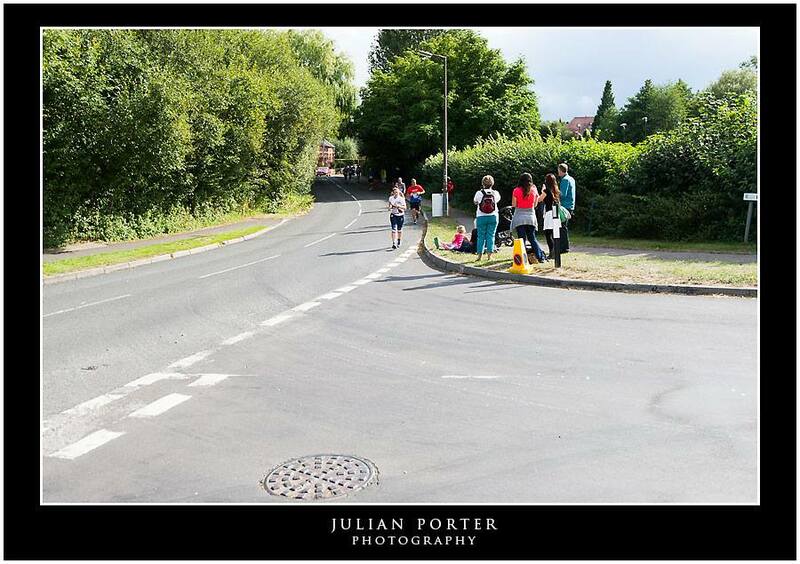 In 2011, I did parkrun in the morning and got a PB before doing Overton in the afternoon. 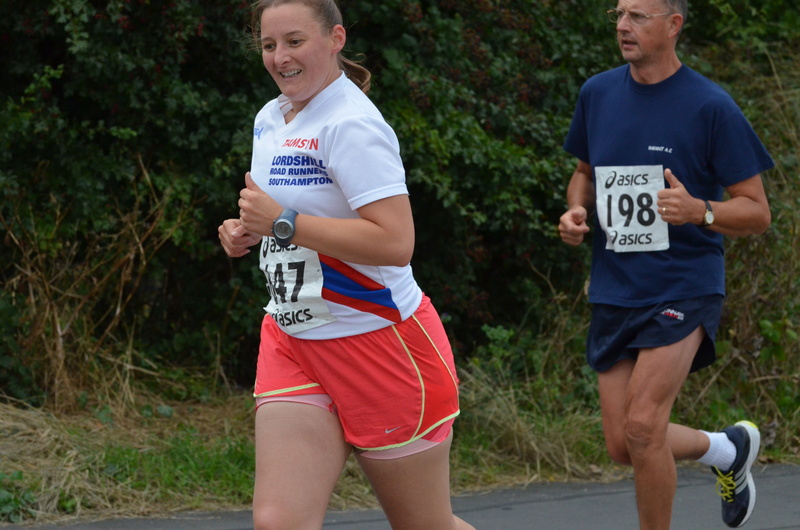 It was also kind of a PB as it was my first ever 5-mile race. 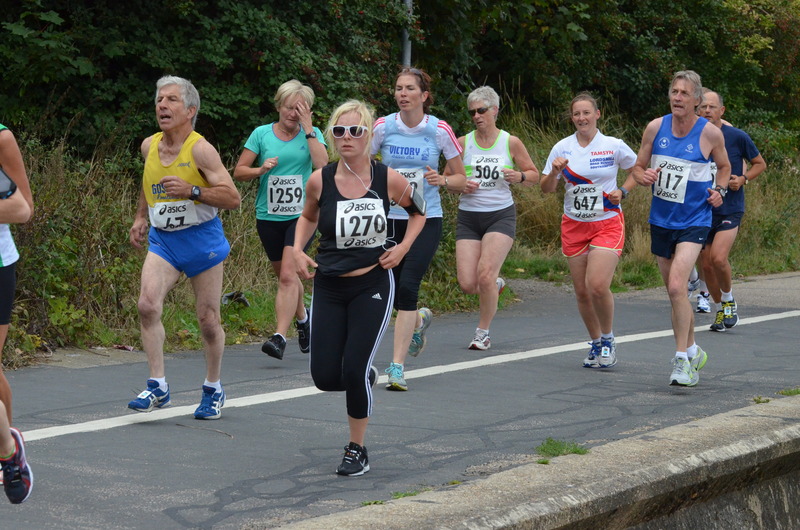 Overton is an unusual race in that it is usually run in alternate directions each year. 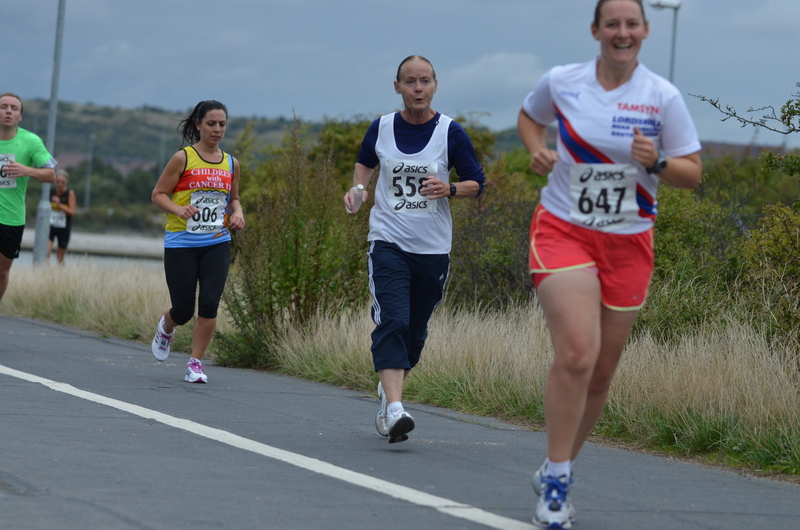 In 2011, it was run clockwise, which entailed a long slow uphill drag and a short sharp downhill. 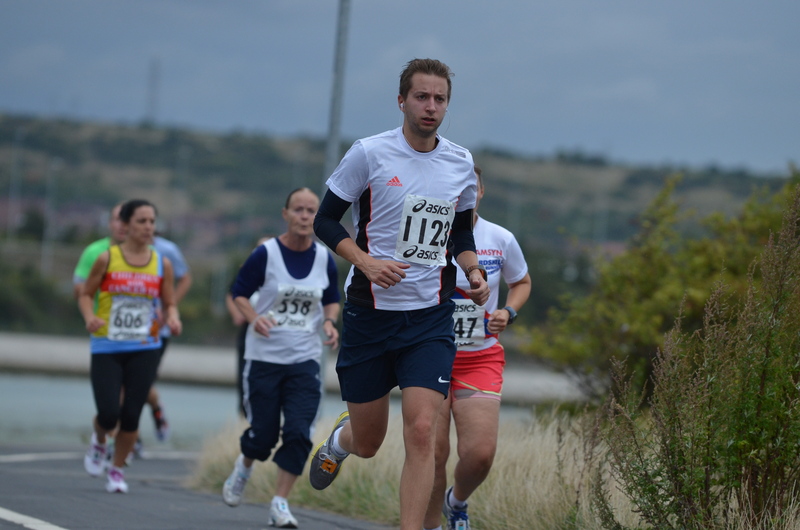 I completed the race in 45:57 in 2011. 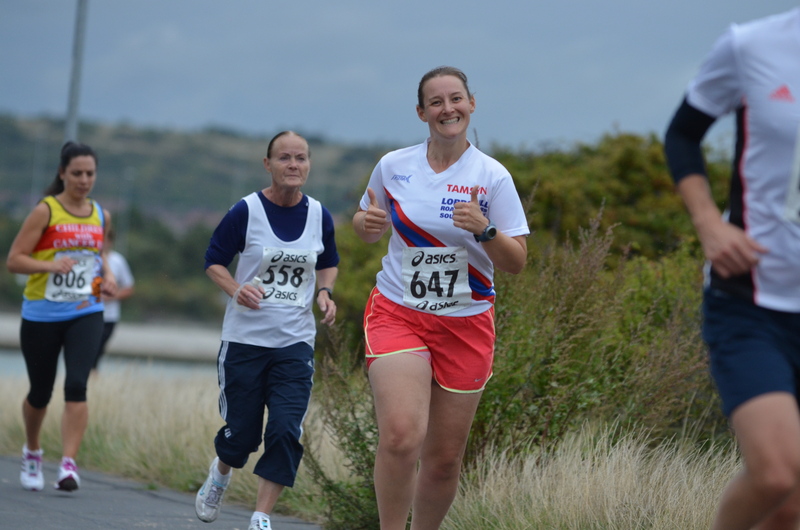 In 2012, I was feeling strong and thought that I should easily be able to get a PB. 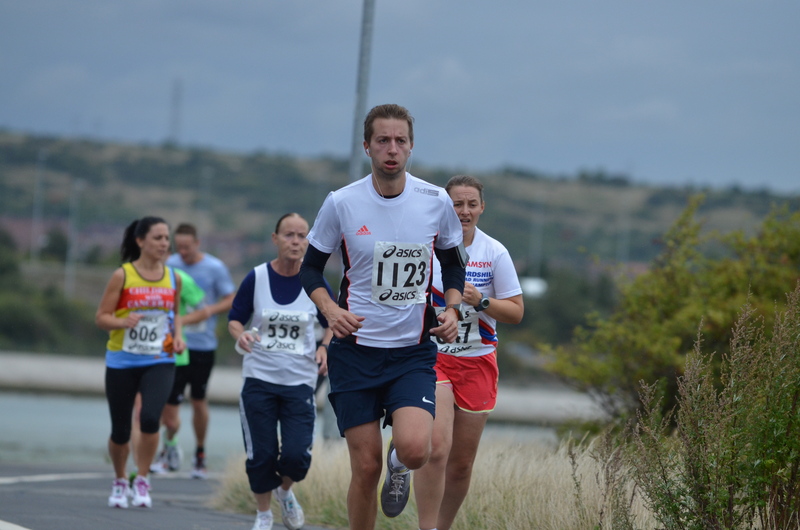 The course was running in an anti-clockwise direction, which I thought would be easier. I was soooo wrong. I ran the best I could and battled a few LRRs in the closing km, but was really disappointed that I was unable to achieve a PB, finishing in a time of 46:12. 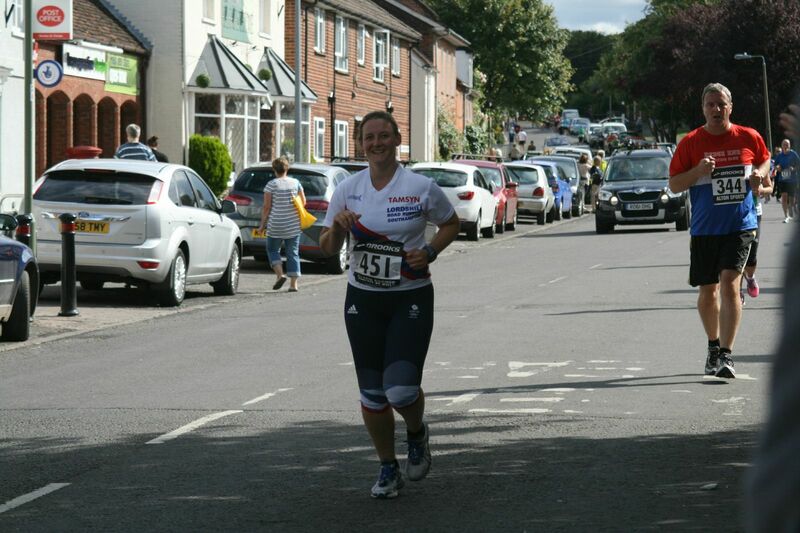 A fortnight after that disappointment, I did Victory 5 mile and amazed myself by smashing my PB and finishing in 43:21. 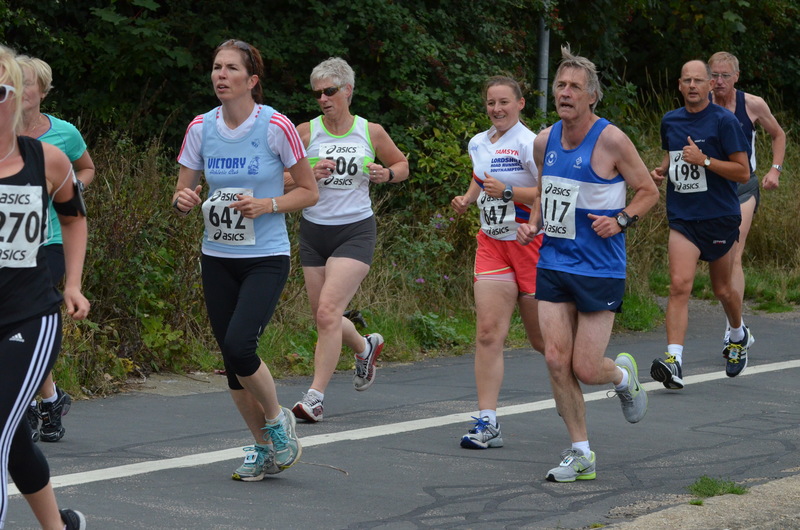 This year, Overton was also run in an anticlockwise direction. 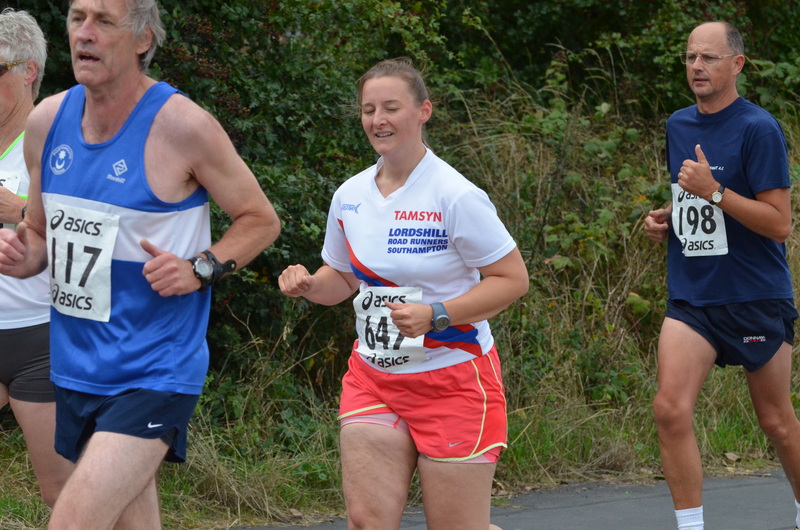 My heart sank when I learned that as I’m not running well at the moment. 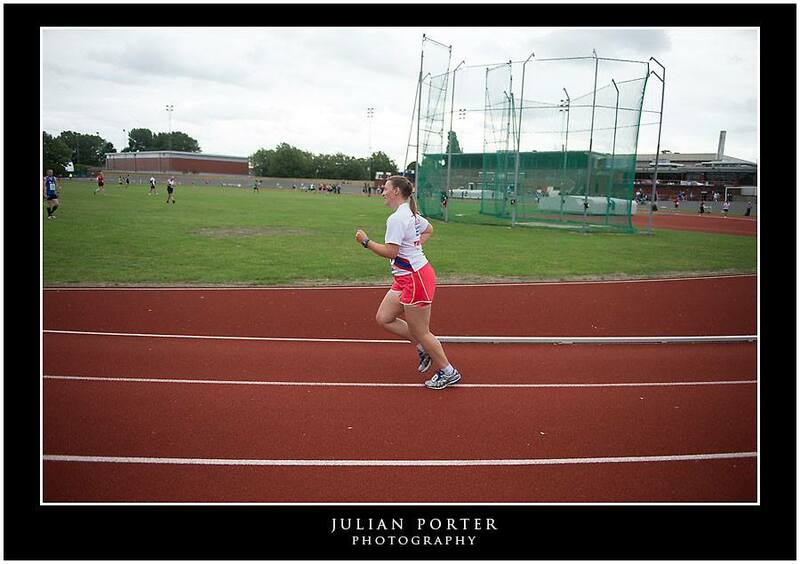 It’s really depressing to realise that I’m running at a lower level than two years ago when I was a novice runner. 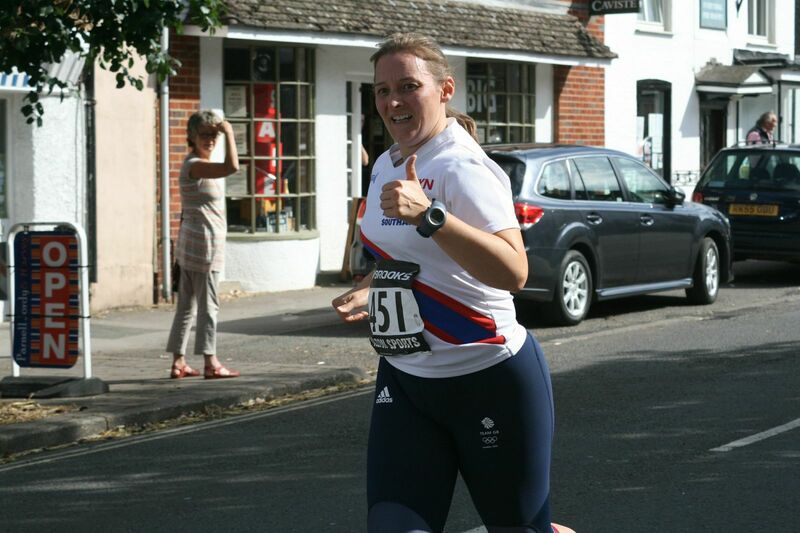 I decided that although I had calculated the paces I would need to run to achieve a PB and also to beat my Overton time (yes, I’m that geeky!) I was aware that PB pace is currently well out of reach, as I can’t do that pace for a 5k, so I thought I would start out steady and see how it went. I battled up the first hill and noticed a lady in a yellow Adidas vest. 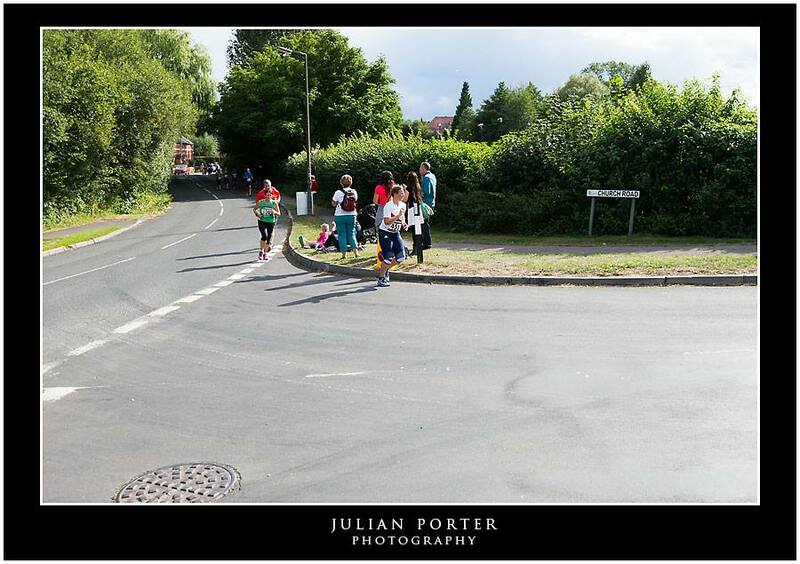 As I passed her, she spoke to me and I realised that it was Caroline from Alton Runners. Last year, we were closely matched in most HRRL races. I expected Caroline to catch up with me again soon but was surprised to find that didn’t happen. 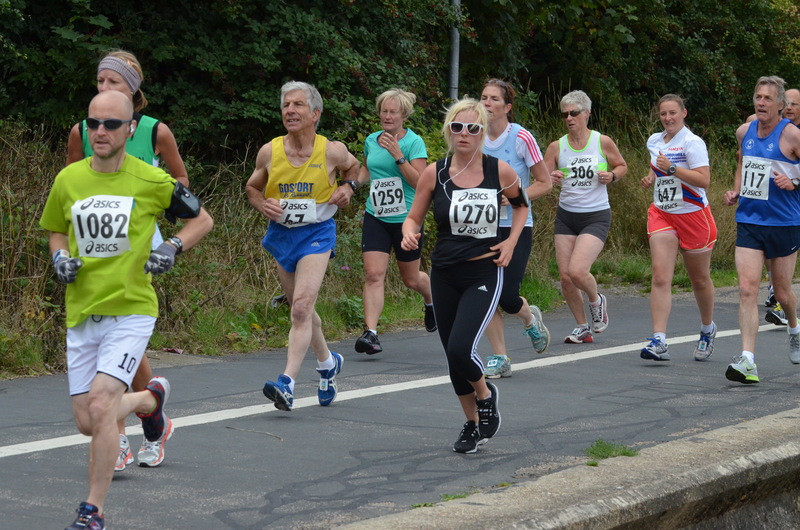 On the downhill, I started overtaking people, which felt good. 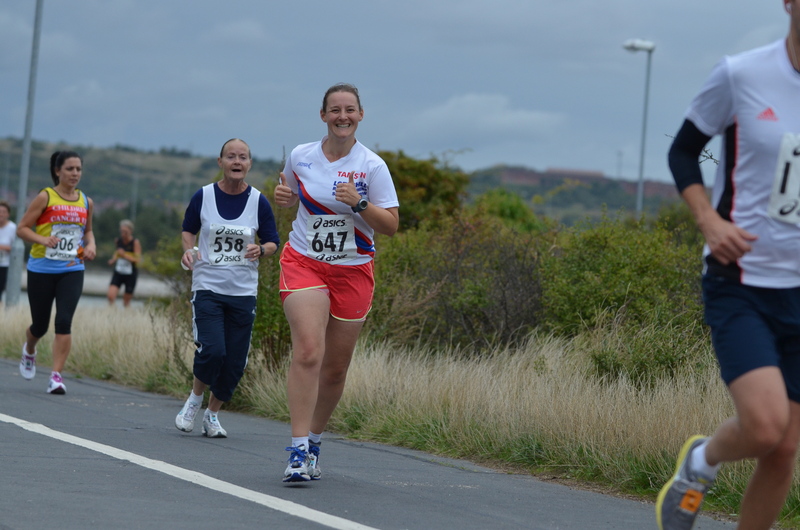 I LOVE running downhill! Towards the bottom, my shoelace came undone – DRAT!!! I did it up and ran on, buoyed by the cheers from some LRR supporters. I decided to look at my watch and could see that I had slowed, so I needed to try to pick up the pace. 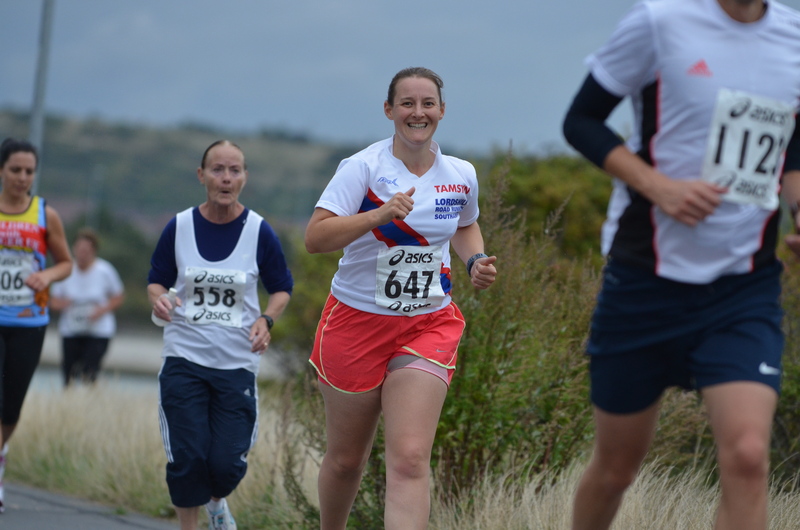 I pushed on and kept fighting up the hill. 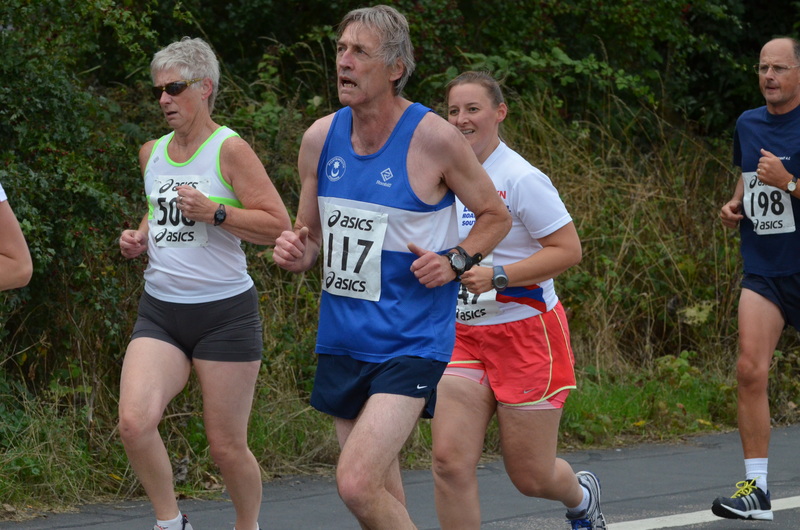 Other club runners were on the hill, so I aimed to pick them off. 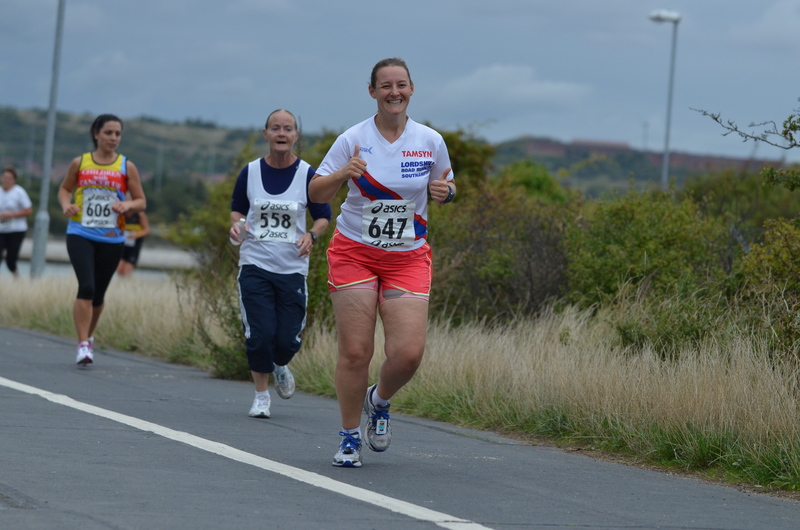 I battled up the hill and was pleased to pass a lady from Stubbington. I ran on and then disaster struck. My shoelace came undone again. I tied it as quickly as possible and then sprinted to pass the other runners again. Soon I was at the top of the hill. 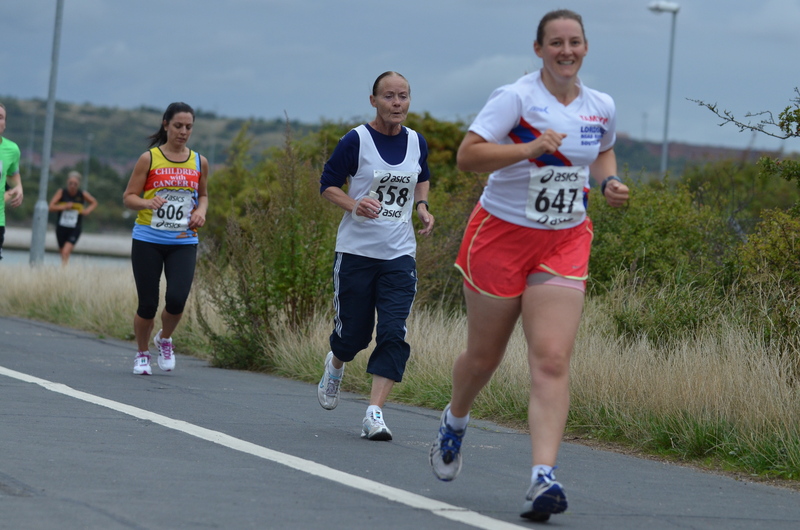 I know that I can run downhill faster than many other runners who are my pace. This was my chance to increase my lead. 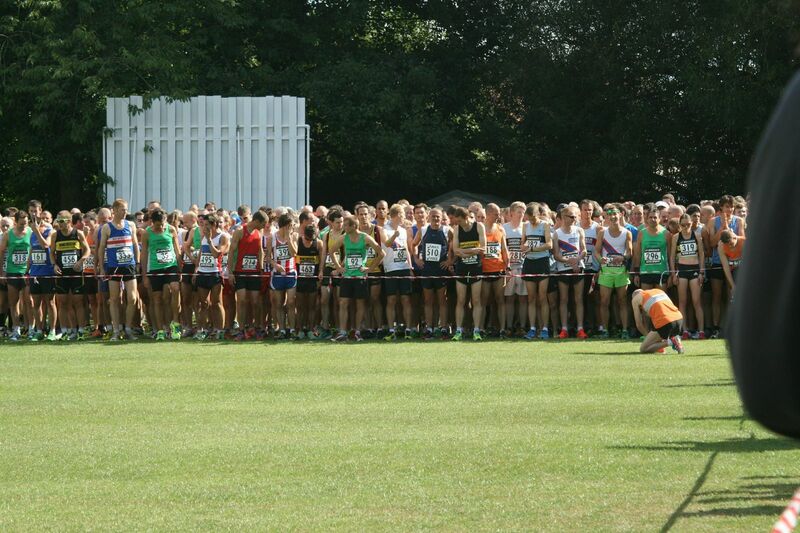 I kept pushing and was delighted that Stu was still on the course watching me. 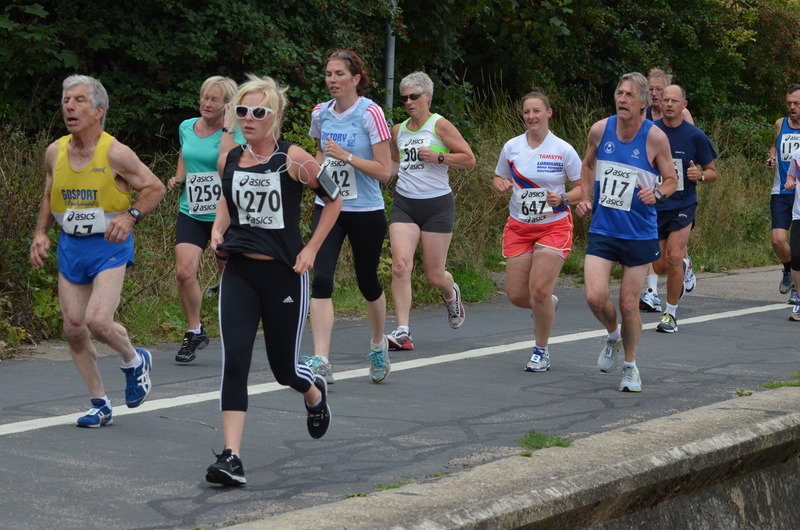 I could hear spectators cheering on the runner from Stubbington, but I didn’t dare to look around. Finally, the finish line was in sight. 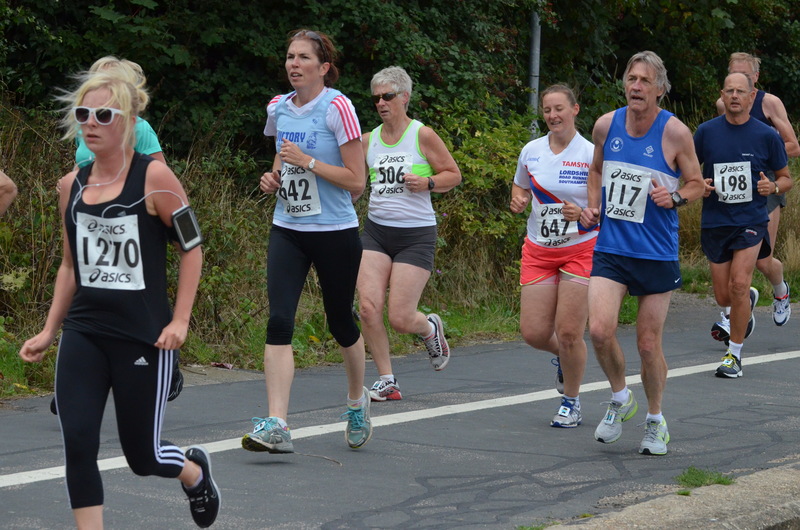 I made a frantic sprint for the line… and managed to finish ahead of the lady from Stubbington. 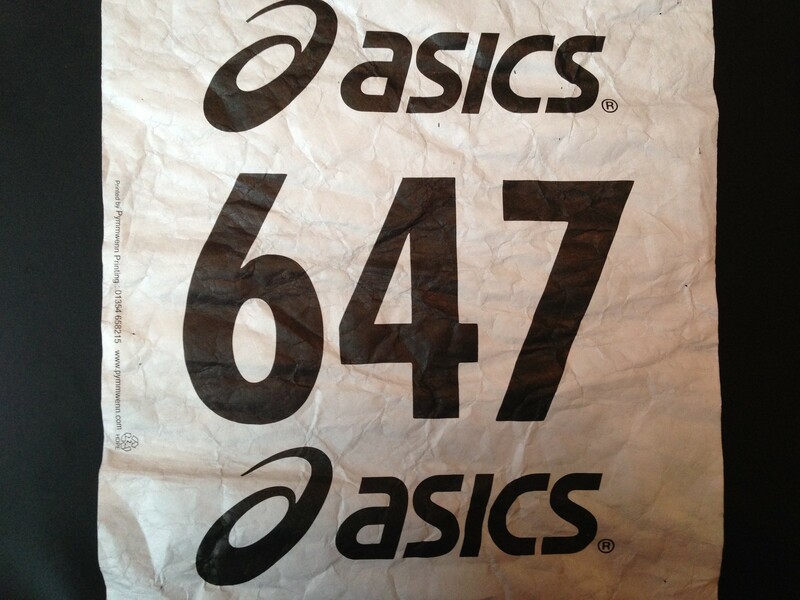 It was not a PB, but it was my second fastest 5-mile race, and an improvement on last year – 45:33. 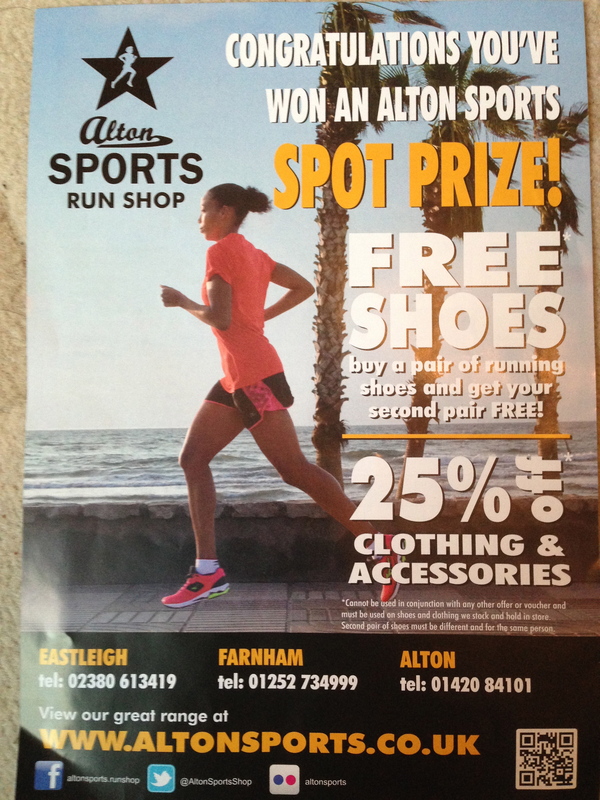 I also received a spot prize – thank you, Alton Sports! 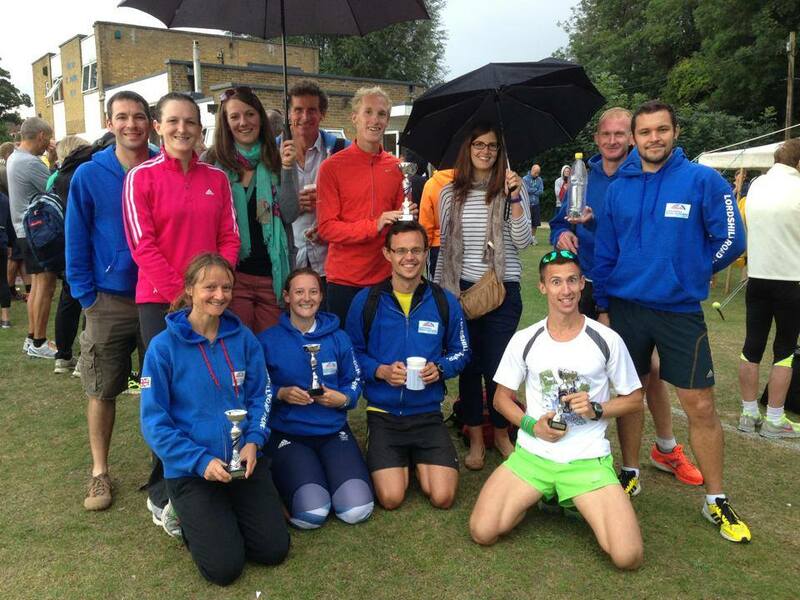 After the race, there was a presentation of HRRL trophies and mugs for the 2012/13 season. 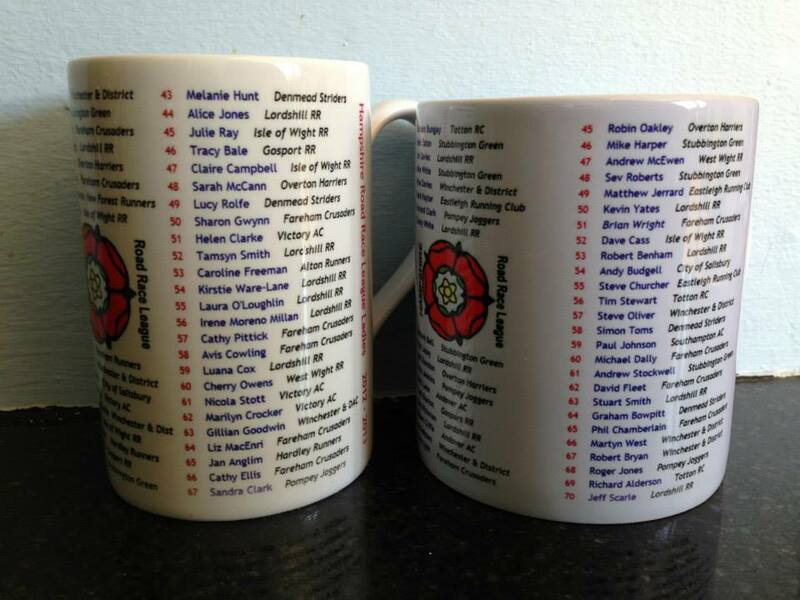 There were two trophies for the women’s teams, and quite a few mugs, including one for me. Will I do enough to get one this year? I honestly don’t know. 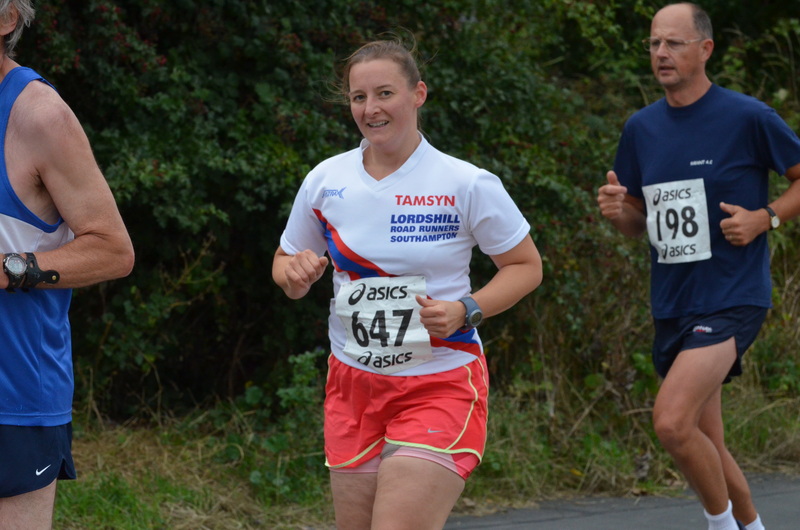 Last year, I did all 12 races, but I already know I won’t do Lordshill 10 mile (I’m not fast enough to make the team, and I’ll be away) or Solent half (I’ve opted to do a triathlon instead). I want running to feel fun again, and I also want to race properly… Selecting the events I want to do and training specifically for them. I’m currently in the lead for the club participation award, but am not sure I can maintain that until the end of December. It will be the last time I go for it. I carried on and started to feel better. The course headed out in a loop that went through a car park, in an area where a cycling event had taken place earlier. 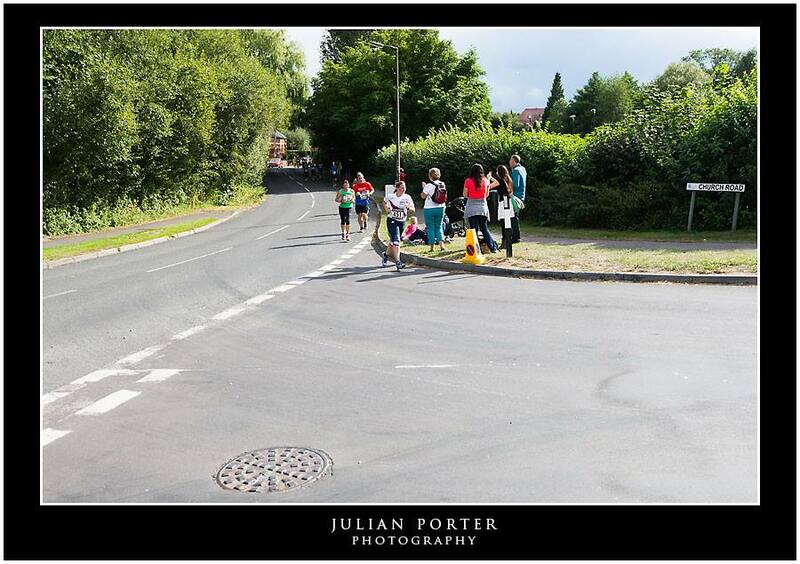 They had kept up their start/finish gantry and the cycling marshals clapped and cheered for us. The music also helped me to feel better. I continued running and finally saw my nemesis, Caroline. 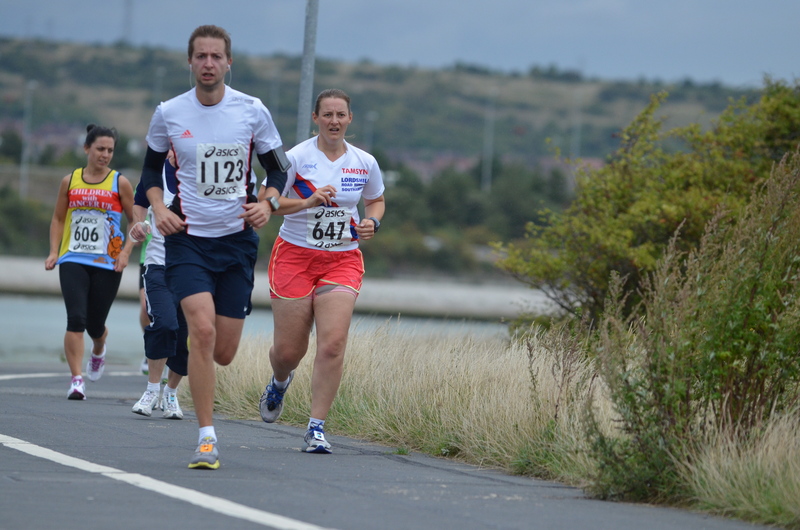 I managed to pass her on a slight incline and kept going. Finally, I was passing Paul Hammond again and I knew it wouldn’t take to long before I was back at the start/finish. 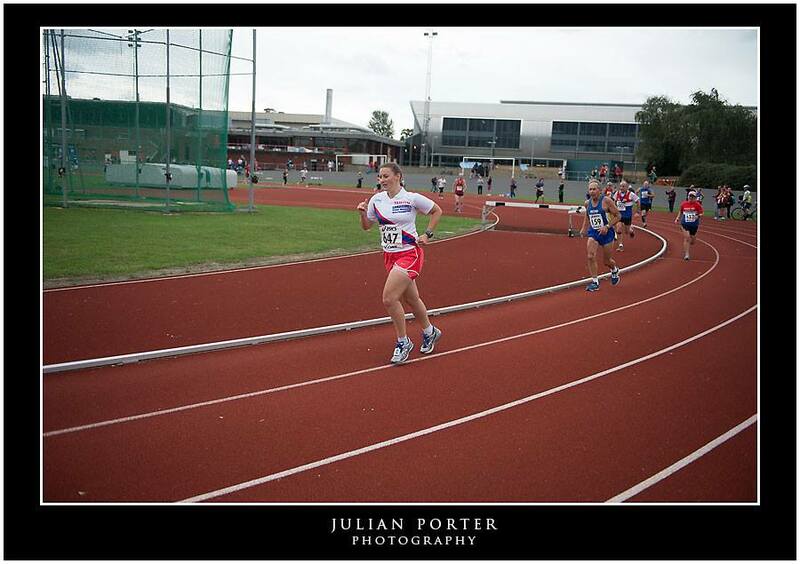 Thanks to Paul Hammond for capturing the pain of the race and my relief at nearing the end! I kept looking out for Stu and finally saw him on the path near to the entrance to the track. He clapped and cheered and jogged along for a little bit with me. 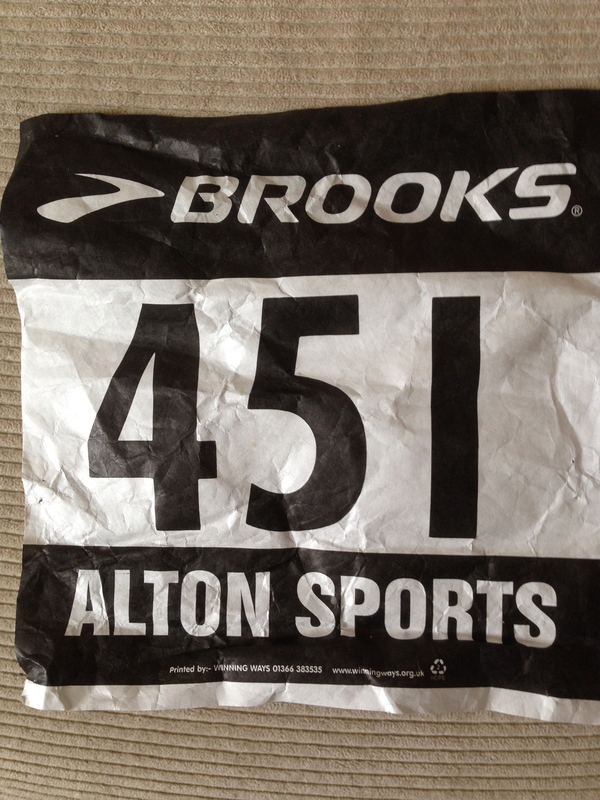 Despite my poor start, I completed the race in 45:16, which is now my second fastest 5-mile time. (Thanks to Lawrence Chen, Paul Hammond, Jules & Sue Porter and Max Satterly for the photos).